A live-action Archie TV series reframed as a dark teen drama, Riverdale premieres January 26, 2017. Produced by the U.S. cable channel The CW, episodes of Riverdale will be available weekly on Netflix in Canada. 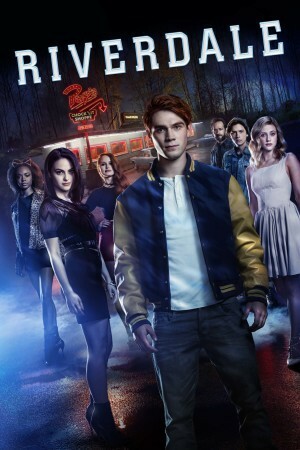 Riverdale stars K. J. Apa as Archie Andrews, Cole Sprouse as Jughead Jones, Camila Mendes as Veronica Lodge, Lili Reinhart as Betty Cooper, Madelaine Petsch as Cheryl Blossom, Ashleigh Murray as Josie McCoy, Luke Perry as Fred Andrews, Casey Cott as Kevin Keller, Ross Butler as Reggie Mantle, Mädchen Amick as Alice Cooper (not that one), and Marisol Nichols Hermione Lodge. Season 1 of Riverdale is on Netflix Canada on January 26, 2017.